Chuck laughed when I unwrapped my best Goodwill purchase of the day. But what does he know? My eyes popped out of my head when I saw this unique bowl mixed in with the dessert plates, platters and cereal bowls at the Yorkville Goodwill. My best guess is that it's a Halloween-themed owl, but no matter. I'm going to put it on my desk as a year-round receptacle for paper clips, batteries and other small homeless items. I love it! Hats off the the clever sisters who decided to make a haul off their Illinois-shaped cornflake. Since it sold on eBay for $1,350 on Friday night, I'm going to keep my eyes open for oddly shaped foods at Easter dinner today. 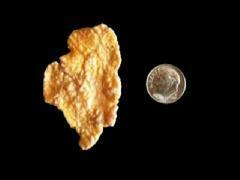 The winner of the auction, which lasted more than a week, is the owner of a trivia Web site who plans to add the cornflake to a traveling museum. Browsing through the home decor section of the local thrift store -- a huge and wonderful repository of relics -- I found this piece of religious statuary. 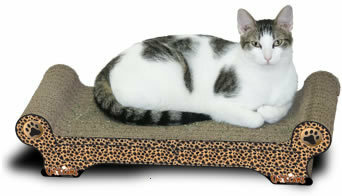 No, I didn't bring it home. 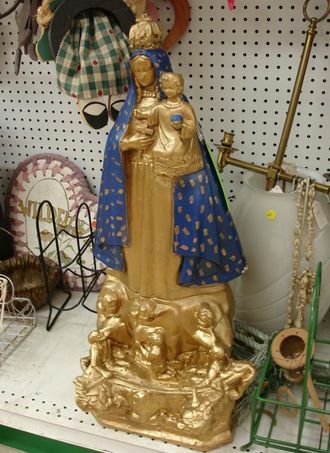 The 3 ft. tall gilded Mary and Jesus can be yours for $35 or a bit less if you know how to bargain.